Every five years, the beautiful city of Nantes hosts Floralies Internationales, the largest flower and garden show in France and the second largest in Europe. Held over 12 days, the show attracts nearly 500,000 visitors from all over the world. Connecting Seattle to Nantes for almost 40 years, the Seattle-Nantes Sister City Association has been selected to represent Seattle and the US in May 2019. 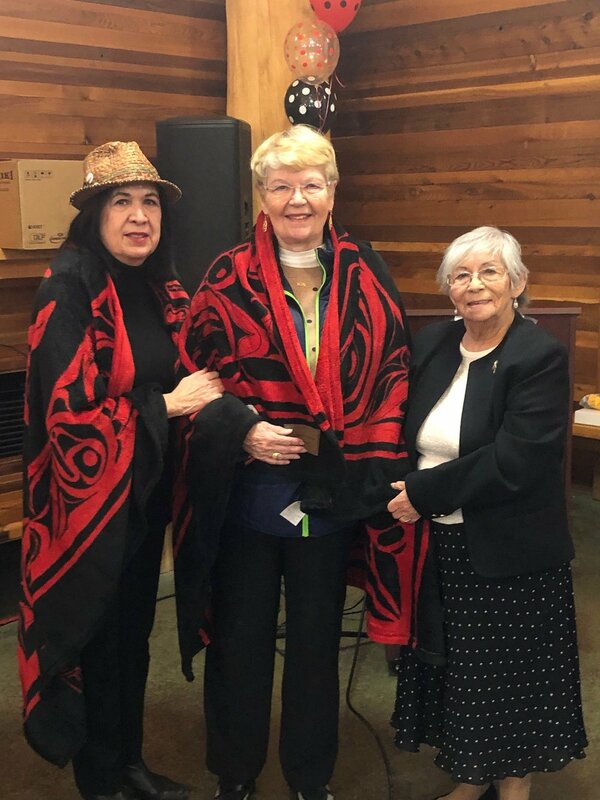 We are thrilled to partner with the Seattle-Nantes Sister City Association as they promote the beauty of the Pacific Northwest and this years theme: “A Longhouse in Nantes”. 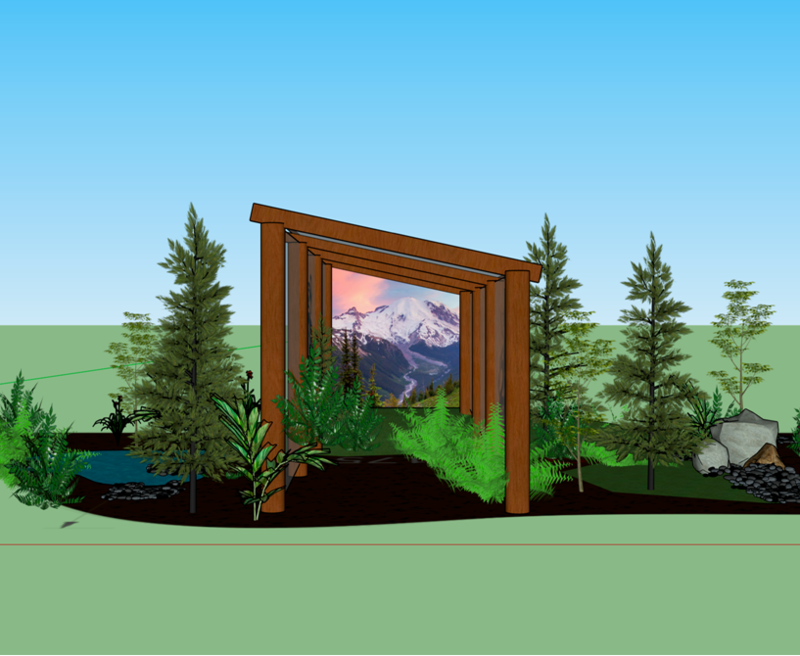 The project will present a garden reminiscent of a Coast Salish longhouse on the edge of the temperate rainforest. 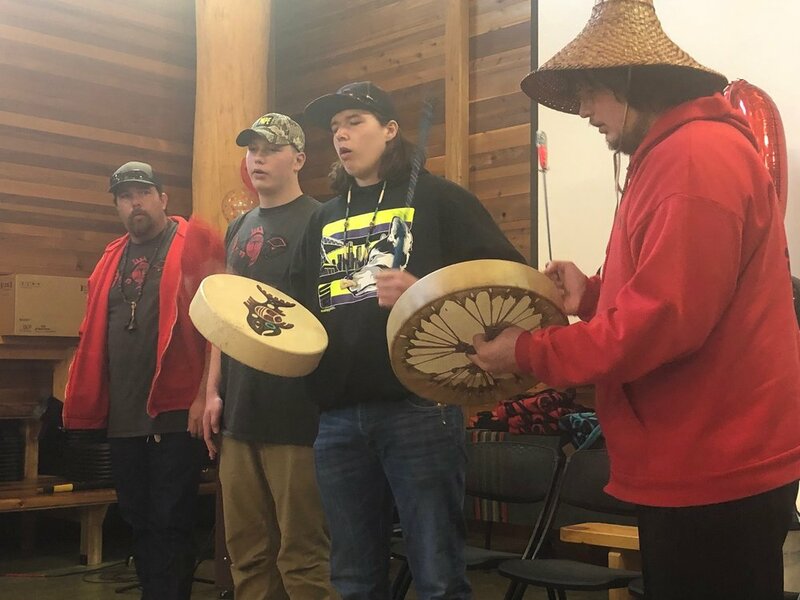 Representatives from the Duwamish Tribe will be working with volunteers and hosts in Nantes to promote educational and cultural relations between Seattle and Nantes. Meet Hailey, 7th in the Nation at National History Day National Competition in Washington DC! 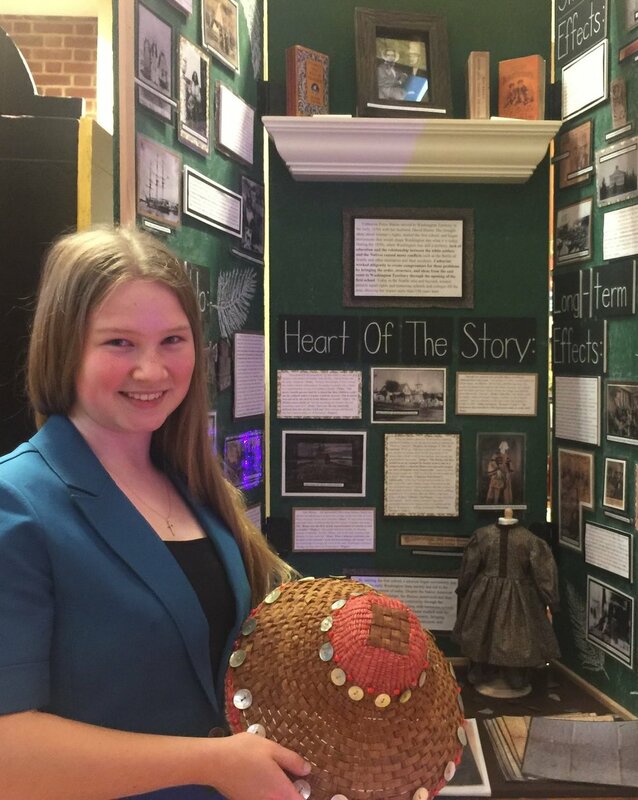 As a local 8th grader, Hailey has a heart-felt desire for the history of the northwest region to be told as it really happened. After getting second in the Washington State National History Day Competition, Hailey qualified to go to Washington DC to represent Washington State in the national competition. Hailey brought an authentic cedar hat to DC for her exhibit. She was showing the importance of the native presence and culture when the settlers arrived. She focused on the specific arrival of Catherine Blaine and her husband Rev. David Blaine as they arrived to what is now Seattle. The Blaine’s interacted with the Duwamish people. Catherine Blaine was the first ever school teacher in what is now Seattle. The Blaine’s letters from the 1850’s are preserved in the University of Washington archives. Being ranked 7th in the Nation by the judges was a testimony to this valuable history. Hailey was honored to represent the Duwamish telling these settlers story in our Nation’s Capital! 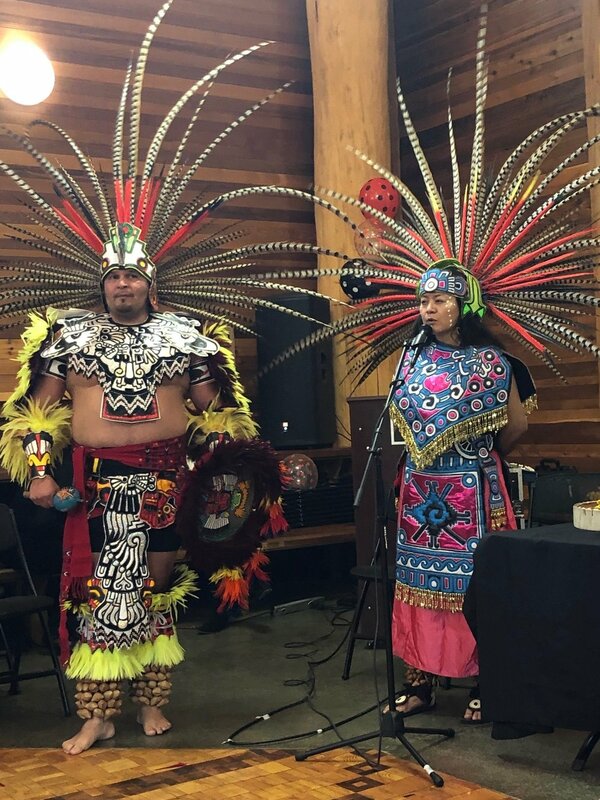 2019 marks the ten year anniversary of the Duwamish Longhouse and Cultural Center. Join us in our tenth year as we continue to celebrate the building of our cultural center and our community. 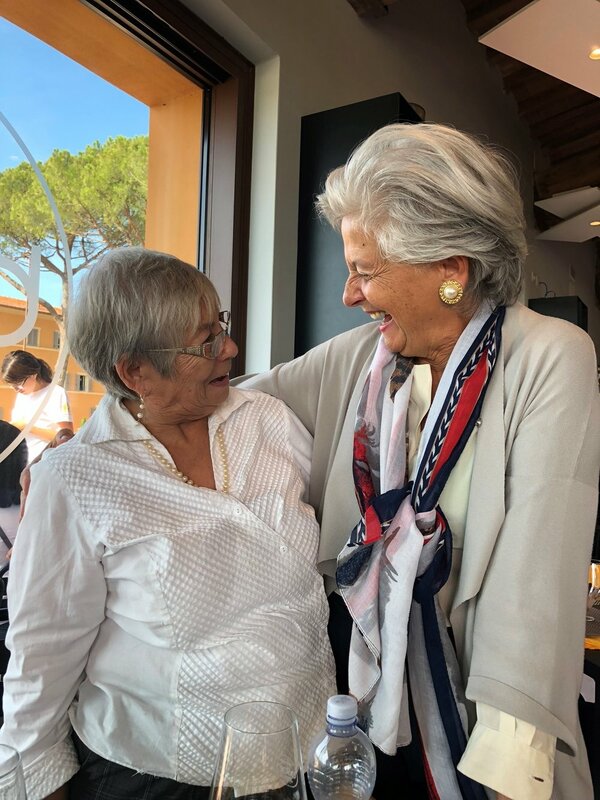 Chairwoman Cecile Hansen and Executive Director Jolene Haas visited Perugia in 2018 for the anniversaries of the sister city association and the Sister Orca sculpture to meet with government officials and community members to strengthen the relationship between our two cities and to share with them more about our Duwamish culture and history. The Seattle-Perugia Sister City Association (SPSCA) celebrates and supports the relationship between Seattle and Perugia, Italy. Perugia is the governmental, cultural and economic capital of Umbria. It is located in central Italy between Tuscany and Rome. “Sister Orca” is a dramatic and striking sculpture in Perugia, Italy created by well-known Native artist, Marvin Oliver, Quinault. The sculpture is a 30ft Orca fin cast in bronze and featuring Native American symbols. The sculpture stands as a symbol of two ancient cultures and modern friendship that Seattle and the Northwest share with Perugia and Umbria. 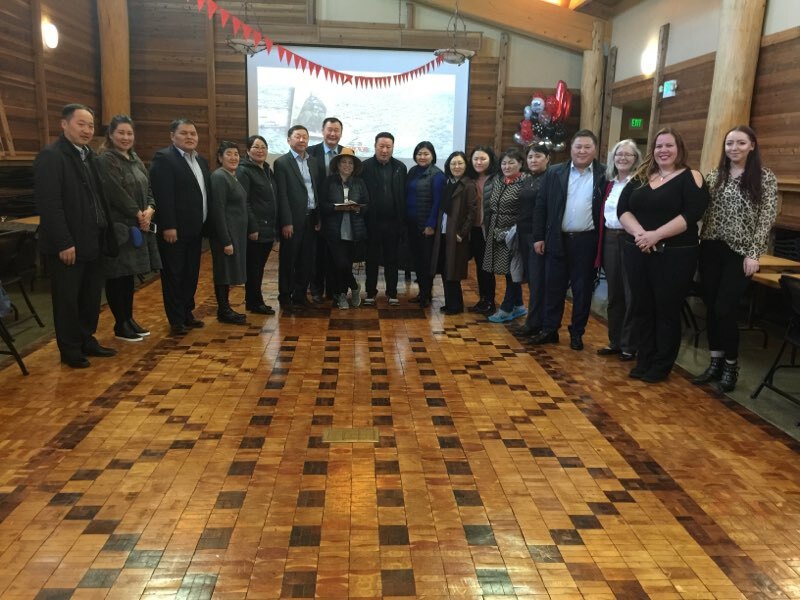 Visitors from the Bulgan Province of Mongolia with the University of Washington DEOHS visit the Duwamish at the Duwamish Longhouse and Cultural Center, January 2019. This is the first thorough historical account of Chief Seattle and his times--the story of a half-century of tremendous flux, turmoil, and violence, during which a native American war leader became an advocate for peace and strove to create a successful hybrid racial community . 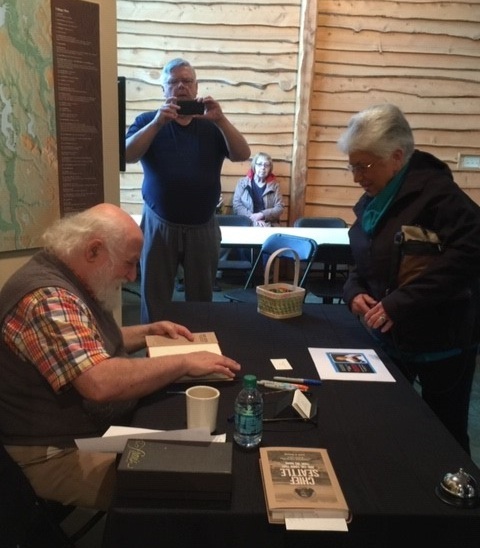 While many books on the subject have been written, David Buerge’s extensive research over three decades document in greater detail on the life of Chief Seattle and his people. We are very honored to accept these three photos taken by Paul S. Henriksen, Director of Camp Nor'wester in Nicaragua at the childrens’ learning center in Managua. It is a very touching tribute to the wisdom of Chief Seattle that his words are reflected and known in many other cultures and places all over the world. These hand painted signs were made by an unknown student or artist and were seen at the learning center. I: “In the state of Washington, in the Northwest US, is a country (or nation) of the Duwamish. It is a group that-like all the Indians- was considered a part of Nature. They respected and venerated her and for many generations lived in harmony wit her. II : a quote “The rocky heights, the smooth meadows, the ardent body of the colt and man, they all belong to the same family” Chief Seattle. Jeff means Chief or leader. III : “My words are like the stars, they are never extinguished” the great Leader Seattle said. His town has not survived, his words were not listened to. Are we listening now? Will we survive?